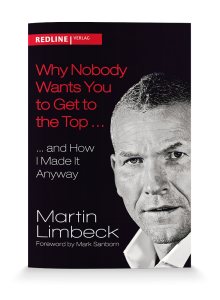 Martin Limbeck’s team is looking forward to your inquiry. Writing, reading, and being out in nature are pure relaxation. Spending time with friends and family is important. This could be the perfect place for your picture and name. For relaxation, the former American football player enjoys to play street basketball on a regular basis and to gosailing. In addition, he attends meetings of Toastmasters International, a public speaking and leadership organization, whenever hecan. Hungry for success and eager to learn – You never stop learning.